One of the most appealing things about bikes is the amount of speed they deliver for such little money compared to similar performing cars. That eyeball-popping speed is now even more affordable thanks to the recent surge in PCP deals. You could be riding a legendary Suzuki Hayabusa or Kawasaki ZZR1400 for less than £150 a month. These are bikes that are capable of devouring a quarter mile in 10 seconds. Not only are the ZZR1400 and Hayabusa blisteringly fast, they're also incredibly comfortable and surprisingly practical. Both bikes will devour continents in complete luxury with a week's worth of luggage and a pillion. You'll be smiling all the way. Below are the PCP deals from Suzuki and Kawasaki for their bikes, with a deposit of £2500 and mileage limit of 6000 miles. 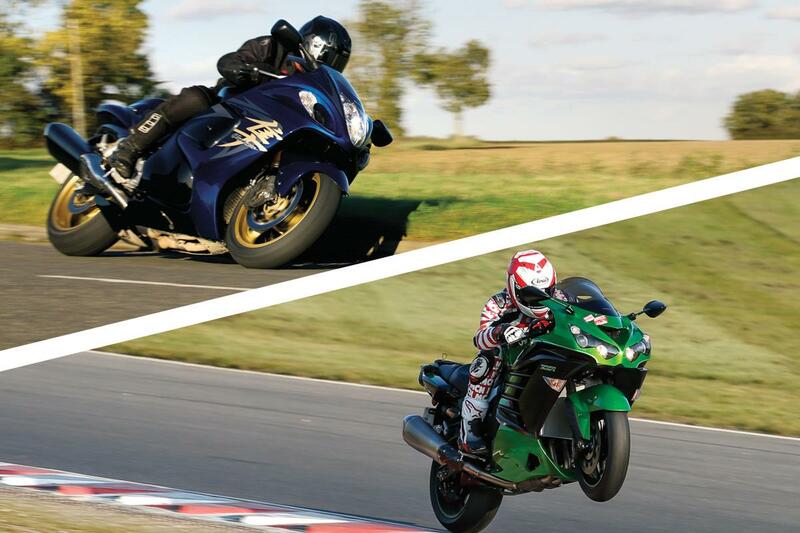 The Kawasaki beats the Suzuki hands down when it comes to speed and power, but it just doesn't have the same kudos as the Hayabusa and it's only slightly prettier. The original - and in many people's eyes - best hyperbike is still blisteringly fast, and handles well. It's not the prettiest bike out there, but has a certain purposeful charm. Poll: Are hyperbikes still relevant today?